This afternoon we began our annual reading of Dicken’s A Christmas Carol. The children find the prose a little difficult but are willing to make an effort to get to the ghosts. The above passage was our copy work assignment for today. It makes a wonderful description. 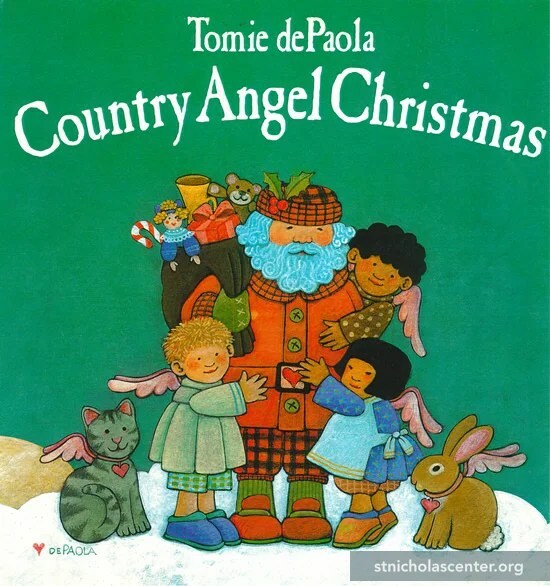 This morning we read Country Angel Christmas by Tomie dePaolo. It is an absolutely charming story about some small angels in heaven trying to contribute to the Christmas celebration taking place in heaven. We also re-read, for about the fourth time this Advent, Jan Brett’s The Wild Christmas Reindeer. Erin loves this story of Teeka the elf who learns how to tame Santa’s reindeer in time for Christmas Eve.